News flash, being “busy” is not an excuse to not eat well. The truth is everyone is busy, it’s a way of life these days, and yet many people are still able to eat well and focus on their health goals. But, how do they do it? It’s honestly not as complicated as you may think. Yes, it may take a little planning or a little extra time, but it can be done. 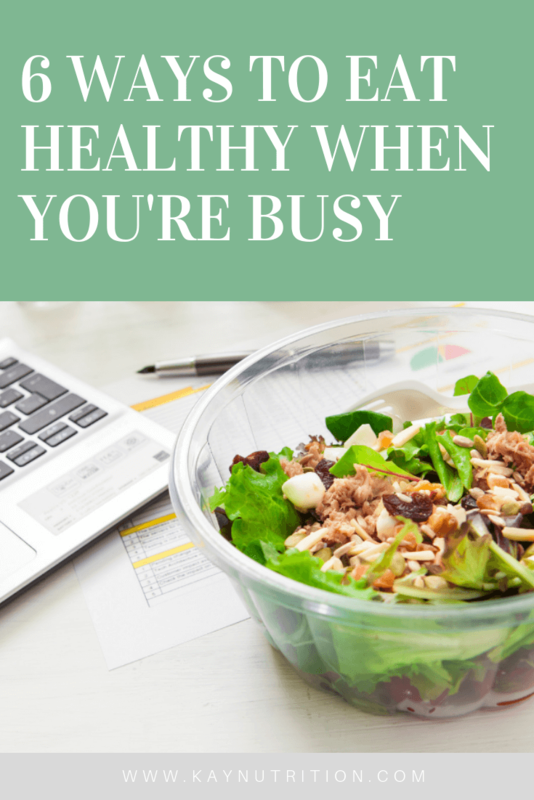 So, here are 6 ways to eat healthy when you’re busy. Yes, in an ideal world you would cook everything from scratch, but that’s just not realistic. If you know you are about to busy it’s important that you are kind to yourself and take shortcuts wherever you can. These days grocery stores carry plenty of healthy options that are pre-made and can help save you time in the kitchen. Items like pre-made soups and salads are great for quick and easy lunches, and items such as pre-marinated meats and frozen veggies can help you pull together a simple dinner in under 10 minutes. Most grocery stores carry hundreds of healthy pre-made foods that can help you eat healthy when you’re busy, you just need to look for them. Look around, be resourceful and read the ingredients; it is the single best way to know if you are making a healthy choice or not. I know it’s fun to try new recipes and make elaborate meals, but when things get busy you need to get real with yourself. Instead of looking for new recipes or fancy meal ideas, it is important that you keep meals as simple as possible and focus on eating whole foods – that’s it. It may not be the best of your life, but it’s also not the last meal of you life. Not every meal is going to light off fireworks in your mouth, sometimes you just need to eat what will fuels your body, even if it’s boring. Stick to the basics; hard boiled eggs + carrots + almonds, tuna + salad + dressing, or frozen veggies + chicken, and if that doesn’t cut it for you, sheet pan meals are a great way to ensure you can make something healthy (without too much fuss) so you can eat well even when your schedule is tight. Believe it or not, having a dinner composed of simple snack foods can still be considered a healthy meal, especially when chosen with care. There are plenty of things that you can buy in the grocery store that require absolutely no cooking at all which can help you pull together a meal in minutes; hummus, cheese, smoked salmon, olives, canned beans, prosciutto, tuna, fruits, veggies, etc… There is no need to over-complicated things, by simply pairing whole foods together you can easily create a delicious and well-balanced meal. So, instead of stressing over how “Instagram worthy” your meal is, just focus on reaching for whole food and, if no-cook meals is the way you need to do it, that’s absolutely fine. When you do have time to cook, making an extra serving or double batch that you can freeze is one of the best ways to ensure that you can continue to eat healthy when you are busy. 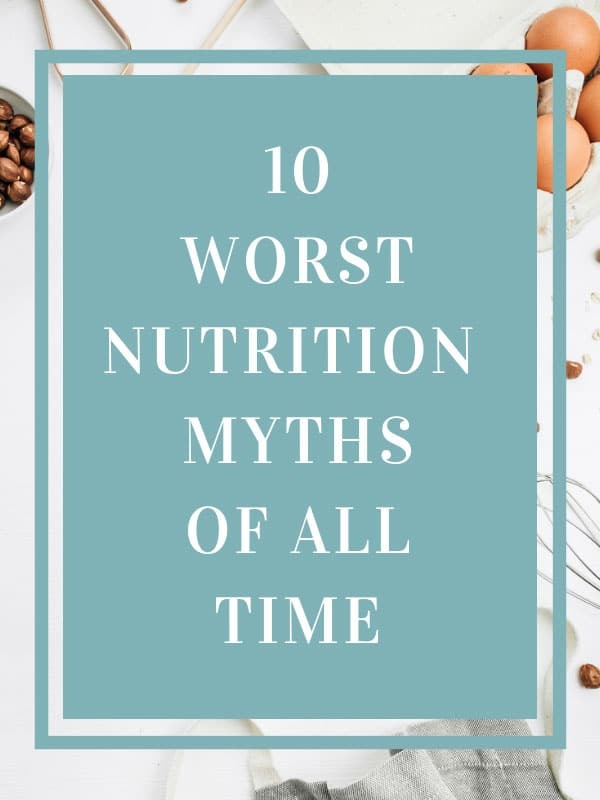 Although some people are concerned that freezing meals make them less nutritious, that is a nutrition myth that needs to go, as freezing meals is simply a convenient method of preservation and doesn’t do any harm. With the exception of a few ingredients, you can freeze just about anything and set your future self up for success to ensure you are able to eat well when things get hectic. In fact, the more you can learn to make your freezer work for you, the easier things will busy when life gets too busy to cook. Restaurant options have come a long way in the past few years and it is now much easier to find a healthy meal when you are dinning out. 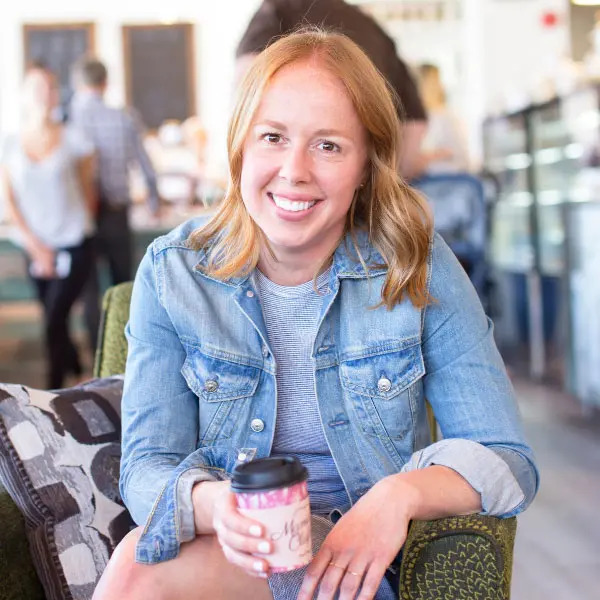 In fact, these days you can find healthy whole food options just about anywhere including airports, gas stations, coffee shops and fast food restaurants. Although the junk food options still line the aisles and get the best displays, finding a healthy option at any location can be done, you just need to look for it. 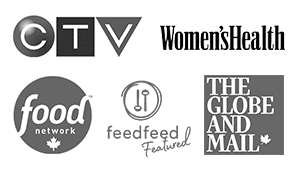 Gas station and convenience shops often carry simple snacks like nuts, jerky and fresh fruit that you can use in a pinch, while fast food restaurants offer fresh salads, soups and bunless burger options. So, whether you are on the road or on the run, there is always something for you to chose from if you look for it. When time is of the essence, being strategic with when and how much you eat is important. If you chose to graze all day long and don’t have time to seek healthy options every time, it’s going to make eating well really difficult. 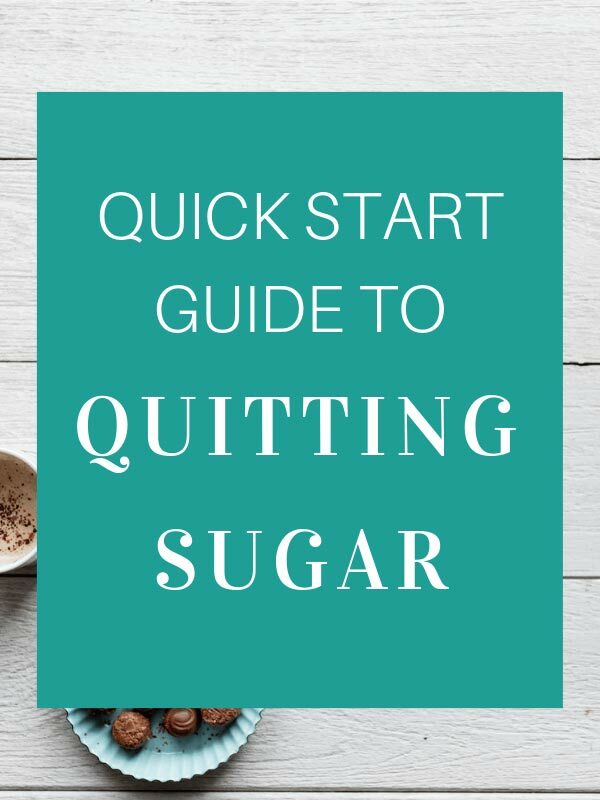 Instead, opting to eat larger meals less frequently will help ensure that you can still eat healthy when you’re busy; perhaps that means eating a bigger breakfast or lunch to hold you holder for multiple hours, or picking up a bunch of snack food items that you can use to create a large meal. Not only does eating larger meals more often make eating healthy when you’re busy easier, but it is also great for balancing blood sugar, managing cravings and supporting weight. 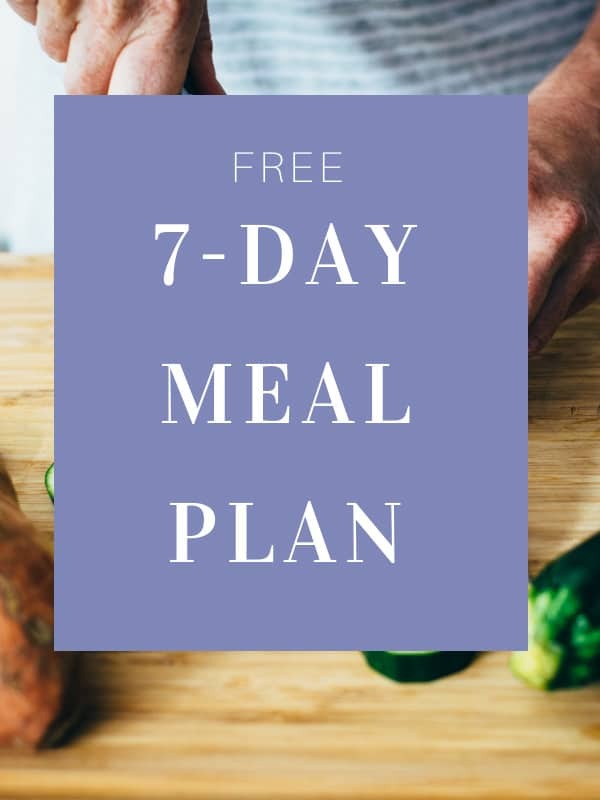 So, cut out the mini meals and eat enough food to keep you fuelled and full for hours to come so you don’t have to stress about finding healthy options when you’re short on time. In reality, the only way to eat healthy when you’re busy is to make it a priority. You may need to prep a little in advance or take an extra minute or two to seek out a good meal, but I assure you it can be done. If you want to ensure that you eat well you need to get in the driver’s seat, take control of your food choices, and be as resourceful as you can. Do your best to keep meals simple, look for pre-made options, and focus on the basics; whole foods made of fruits, vegetables, meat, seafood, dairy, nuts, seeds, beans, lentils and whole grains. 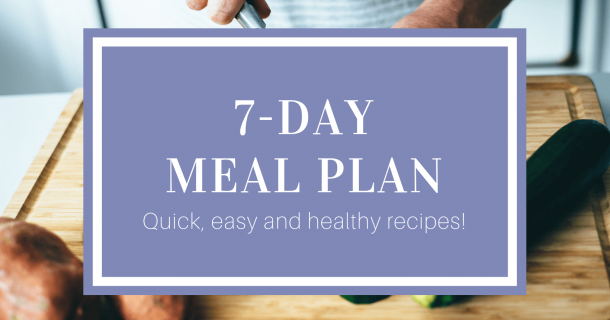 Download a copy of my FREE 7-Day Meal Plan with quick, easy and delicious recipes! 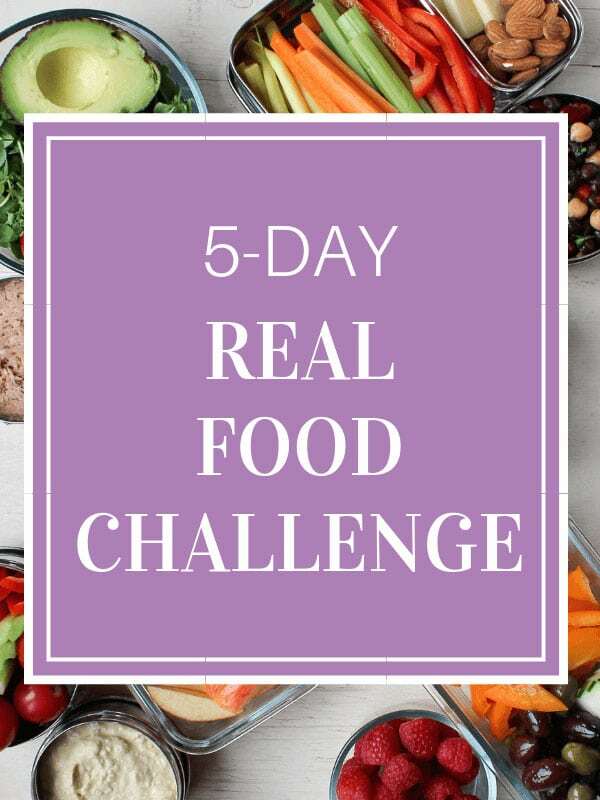 Post Real-Food-Reset, a massive game-changer for me was simplification of my meal-prep. Batch-prep on weekends (often not even cooking, just *portioning* uncooked), freeze, then just chuck on a sheet-pan when I get home. Boom. Zero effort, dinner done. I love all of this! Thanks so much for sharing CJ!